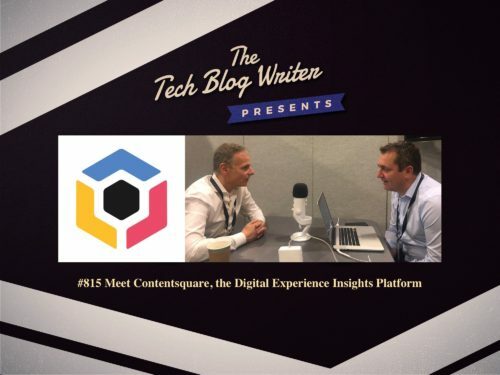 Contentsquare is a digital experience insights platform that helps businesses understand how and why visitors are interacting with their app, mobile, and websites. They compute billions of touch and mouse movements and turn this knowledge into profitable actions that increase engagement, reduce operational costs and maximize conversion rates. Using behavioral data, artificial intelligence, and big data to provide automatic recommendations, Contentsquare empowers every member of the digital team to easily measure the impact of their actions, and make fast and productive data-driven decisions to optimize the customer journey. The AI-powered User Experience (UX) analytics and optimization platform is used by many major retailers and brands that include Walmart, Tiffany’s, Avon, and GoPro. The company also recently launched the Digital Happiness Index (DHI), a pioneering metric to help brands measure the quality of the experience they deliver across the web, mobile sites, and apps. For the first time, IT, product, marketing, and merchandising teams can all track a single digital customer satisfaction score. The Digital Happiness Index nets out the collective impact of the dozens of actions taking place across departments to provide a brand with a single common barometer. How AI-based solutions help marketing executives better understand and connect with their customers. The effect of data privacy on the retail industry, especially in regards to ad targeting. How stores are increasingly integrating the digital experience into their brick-and-mortar locations.